The endless preparation of wedding planning can often lead brides-to-be to put their personal health on the back burner. While exercise can help reduce stress, a healthy lifestyle is crucial for ensuring brides not only look their best but feel their best on their big day. For those looking for quick, healthy dishes before they tie the knot, I’m writing to offer 5 unique and easy-to-make recipes from Andrea Nordby, Head Chef of Purple Carrot, the plant-based meal kit company. Purple Carrot delivers fresh, pre-portioned ingredients and simple step-by-step guide for people to cook distinctive, healthy, plant-based meals at home in 40 minutes or less - and use their free time to pick out bridesmaid dresses and fill out seating charts. Aside from the recipes being a huge time-saver for busy brides-to-be, there are many health benefits that go beyond a boost in energy levels, such as reducing inflammation, helping the microbiome, lower cholesterol levels, and, one of the most appealing benefits, producing healthier skin. Between vitamins, A and E in vegetables and nuts, those who incorporate plant-based foods see a remarkable reduction in blemishes and an improvement in their overall skin health - a much easier alternative than make-shift beauty products! 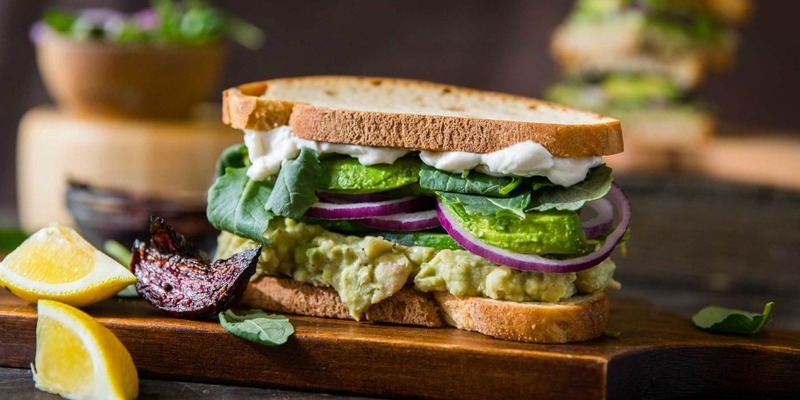 Smashed White Bean and Avocado Club with Beet Dippers. When you’re pressed for time, these quick & easy clubs are the perfect mid-day pick-me-up. They take just 25 minutes to whip up and only require a baking sheet and a bowl, making clean up a breeze! Step 1: Make the Beet Dippers. Preheat the oven to 400°F. Peel the red beets and slice them into thin wedges, about a half-inch thick. Transfer the beets to a baking sheet and toss with 2 tsp vegetable oil and a pinch of salt and pepper. Roast until tender, about 20 to 25 minutes. Step 2: Mash the Filling. Halve the avocado and remove the pit. Thinly slice half. Add the remaining half to a medium bowl, then mash with a fork. Drain and rinse the cannellini beans, and add to the bowl with the smashed avocado. Add the celery seeds, juice from half the lemon, ¼ tsp salt, and ¼ tsp pepper. Mash with a fork until the mixture is well combined and mostly smooth. Step 3: Slice the Toppings. Peel and thinly slice the red onion into rounds. Thinly slice the cucumber lengthwise. Step 4: Toast the Bread. Pop the gluten-free bread into the toaster or oven for until warm and toasted, about 1 to 2 minutes. Step 5: Build the Sandwiches. Lay the toasted gluten-free bread onto a clean work surface. Spread the mashed avocado and white beans over 2 slices. Top with the sliced avocado, onion, cucumber, and baby kale. 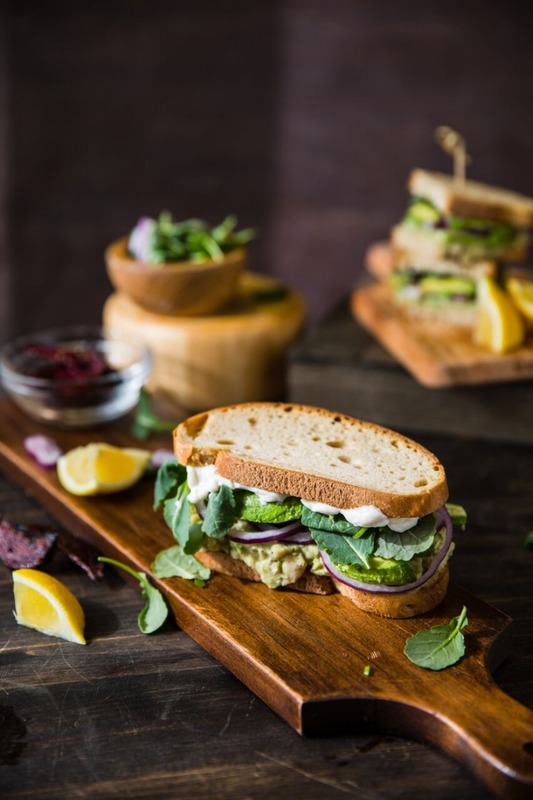 Spread the Vegenaise over the remaining two slices of bread and close the sandwiches by pressing down gently. Step 6: Serve. Halve the smashed white bean and avocado clubs and add them to large plates alongside the beet dippers. Serve any remaining smashed white bean and avocado on the side to dip. Kicked-Up Green Smoothie with Spinach, Apple, and Cayenne. 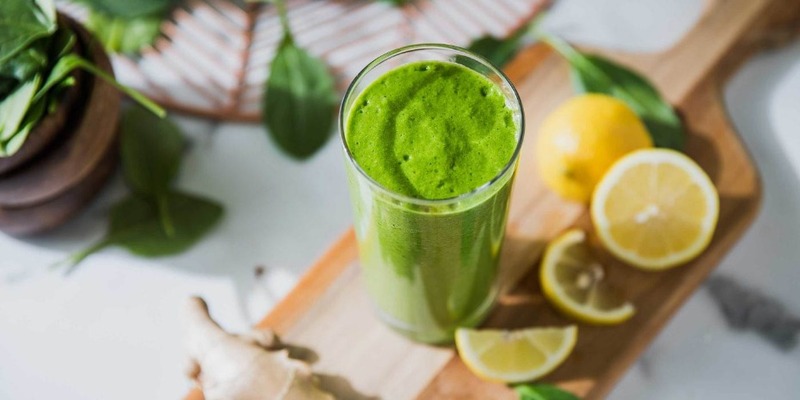 Perfect for any pre-weddig workout or meeting, this smoothie is just as delicious in the morning as it is during the day, and the combination of ingredients also helps to aid digestion. Pro tip: Make this smoothie in a blender instead of a juicer to ensure you don’t lose any nutritional value of the tasty fruits & vegetables. Step 1: Prepare & Blend Ingredients. Core and small dice the apple. Peel the ginger. Dice the cucumber. To a high speed blender, add the apple, ginger, cucumber, spinach, pineapple, cayenne and 1 ½ cup water. Blend until smooth, adding more water if necessary. 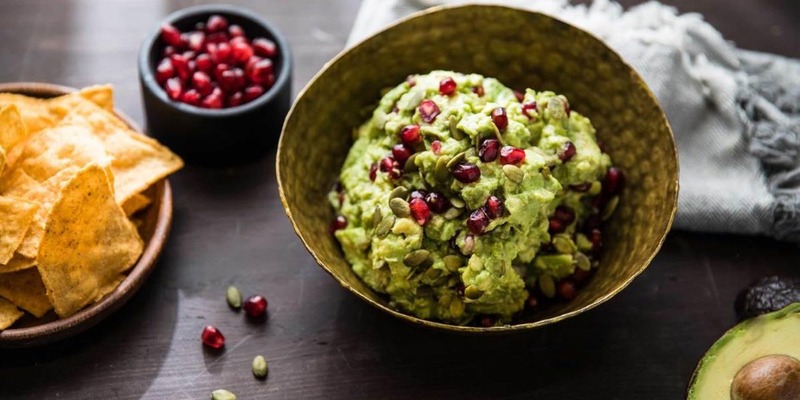 Loaded Guacamole with Pomegranate Seeds & Pumpkin Seeds. This unlikely combo is a delicious, plant-based alternative to a classic fan favorite. The pomegranate seeds add a bright and unexpected flavor to this quick and easy-to-make snack, while the pepitas (AKA pumpkin seeds) add in an extra boost of protein. Step 1: Prep The Guacamole. Peel and dice the red onion. Chop the cilantro leaves and tender stems. Halve the avocados, scoop the flesh into a medium bowl and mash with a fork. Step 2: Load It Up. Add the chopped cilantro, the juice from the lime, as much of the diced red onion as you’d like, and 1/8 tsp salt, to the bowl with the avocado. Mix well, mashing together with a fork, to make a chunky guacamole. Gently fold in the pumpkin seeds and pomegranate seeds. 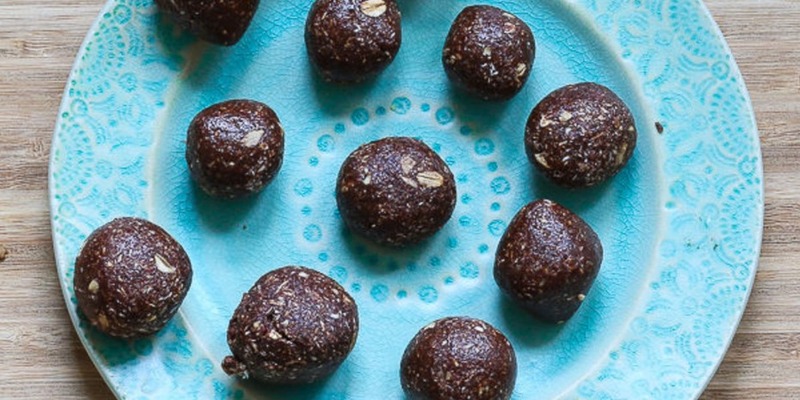 Cacao-Flax Energy Bites. These little guys are a mix of rolled oats, shredded coconut, flax meal, & cacao - and there’s no baking required! They’re a perfect on-the-go snack to slip in your purse when you have back-to-back meetings with the wedding planner. Step 1: Place all ingredients in a food processor or blender. Pulse to combine until a dough forms. Step 2: Scoop out the dough into a medium bowl and roll out 1/2-1 inch balls. Step 3: Enjoy! These bites will stay good in the refrigerator for 1 week, or longer in the freezer.